South County CHEF serves southern Tulsa county including Glenpool, Sapulpa, Jenks, Beggs, and surrounding areas. We desire to provide support to like-minded families who educate their children at home in a parent driven, Christian manner. It is our belief that the current program of K-12 offered by the public school system is government driven and, by law, devoid of Christianity, therefore does not meet this criteria. We are an active, growing group of approximately 15 families, including 50 + kids! We have a monthly meeting on the second Friday afternoon of each month in Sapulpa, or sometimes nearby parks TBA, weather permitting. 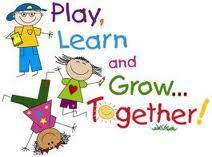 Children are welcome to attend and play games or visit. Our yearly dues are $10 after becoming a member of "Big CHEF" and we require a signed statement of faith. We have a quarterly ministry share time with a local Sapulpa nursing home in which our children can share anything from instruments, recitations, singing, jokes, cards, cookies, smiles or hugs! We host a monthly all homeschool skate day at Sapulpa Roller Dome. We also host a monthly Chess night for parents and children. We generally have one field trip per month pending volunteer co-ordinators. We are open to new activities as volunteer coordinators and interest arise. For more information contact, Sterling and Tina Slaven at southcounty@chefok.org.